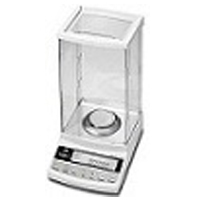 Analytical balances or laboratory balance scales assure perfect weighing and accurate reading. However, proper maintenance and care needs to be taken of the equipment to guarantee proper working. Laboratories require analytical balances and they rely on the results. So this equipment has to be kept clean and calibrated regularly. Preventive maintenance always is recommended for preventing errors. Repairs are result of neglect and so proper maintenance is always advised. Performing regular calibration checks are very essential to ensure accurate performance. Though some balances have internal calibration, it is still advisable to manually calibrate the balance regularly as additional verification. Balances without internal calibration have to be compulsorily calibrated manually from time to time. Keeping the balance clean is also very important. Debris accumulated on the balance can hinder weighing and also affect accuracy. Surfaces should be cleaned with mild cleaners. Apart from calibration and cleaning, proper use is also necessary to prolong life of the instrument. Operators should be properly trained. Weight-capacity should not be exceeded. Objects should not be pressed on the weighing pan. Moving the balance again and again should be avoided. The keypad should not be stabbed. These should be operated by feather-touch and not by poking pencils or knives or even fingers into the keypad. Analytical balances should be kept away from dirty and dusty areas. Dust can damage internal components. When the balance is not being used, it should be properly covered, unplugged and tucked away in a secure place. Dropping the balances should be avoided. Maintaining the analytical balance requires planning, training and elbow grease. It is advisable to keep the instrument accurate and reliable.